I was given this plant as a gift and have no idea what it could be. My guessing is that it is a Hawaiian Ti. Am i right ?? And if so , how would you care for it? Hi Ben, that certainly does look like the Ti plant; Dave's Garden Website has this to say; it can definitely be grown indoors, but from the comments it seems that most people will give it a summer rest outdoors. 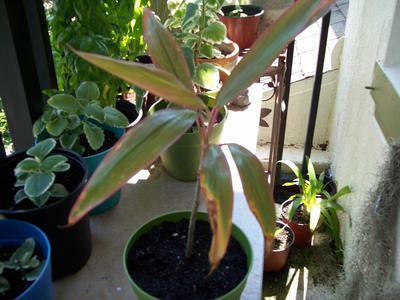 Although that link refers to them by the name Cordyline fruticosa, they are also called C. terminalis, so you might want to search for it under that name too. 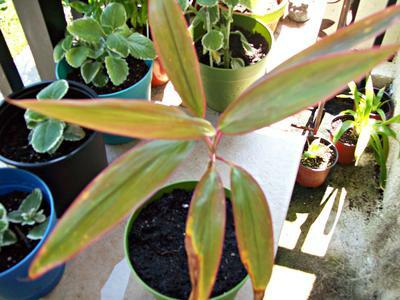 They are also mistakenly called Draceana, because of their resemblance to those plants, but they're actually more closely related to Agave and Aloe.